When choosing your shampoo, body wash, make up, or moisturizer, what should your decision be based on? How should you make your choices when there are so many products to choose from? Start with what is most important to you. Aveda products for hair, body, face and make-up are all developed especially for you. Aveda ingredients and products are never tested on animals and are always created with the highest level of quality and most current technology. Organic ingredients are always used when they are available and Aveda is working continuously with farmers and growers around the world to grow their plants with Organic Certification. Aveda packaging is made from 80% post-consumer recycled material which is virtually unheard of in most industries. Aveda is striving to improve and one day will only use 100% post consumer recycled packaging. Specific needs also need specific products, so Aveda products are created with those needs in mind. 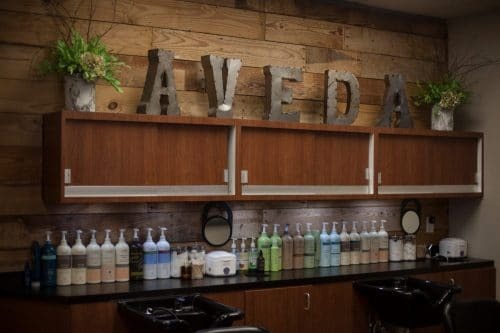 Specialty Aveda hair care, skin care, body care, and make up items are designed to address exactly what your needs are. From maintaining color-treated hair to addressing acne or challenging skin, a Perfect Image team member can help you find the perfect at-home system to bring balance to your life and achieve the results you desire.